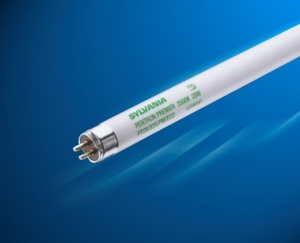 Sylvania T5 Pentron 800 Premier XP Fluorescent Bulbs - Description; A fluorescent light bulb produces less heat, so it is much more efficient. A fluorescent bulb can produce between 50 and 100 lumens per watt. This makes fluorescent bulbs four to six times more efficient than incandescent bulbs. That's why you can buy a 15-watt fluorescent bulb that produces the same amount of light as a 60-watt incandescent bulb.